Bitcoin entrepreneurs seeking a friendly jurisdiction for their business could do worse than end up on the Isle of Man, the picturesque British Crown dependancy located in the Irish Sea. The island’s government has been quick to embrace cryptocurrency companies, by offering a regulatory environment friendly to digital currencies while promoting other initiatives to encourage cryptocurrency startups to set up shop there. On the island, entrepreneurs are likely to find themselves in the company of Peter Greenhill, whose job is to promote bitcoin and other digital initiatives on the government’s behalf. Greenhill is a busy man these days, conducting several tours a week for businesses interested in setting up on the Isle. Attracting bitcoin businesses has become something of a trend among British crown dependencies these days. On the other side of the United Kingdom are the Channel Islands, the largest of which is Jersey, which is emerging as the Isle’s principle rival as a base for digital currency entrepreneurs. Administrators on the islands say that bitcoin businesses are high-tech opportunities to create jobs and boost economic activity. Both Jersey and the Isle of Man have long sought to use their legal positions to carve out lucrative economic niches for themselves. Now they’re turning to bitcoin as a potential new growth engine. The Isle of Man, for example, is home to some of the biggest online poker and gambling sites in the world. The world’s largest poker site, Pokerstars, has its headquarters there and is regulated by the island’s Gambling Supervision Commission. The online gambling industry accounts for nearly 10%, worth about £340m, of the island’s economy. Jersey has established itself as a global offshore financial centre, and in doing so is in regular entanglements with international tax authorities. France recently removed the island from its tax blacklist of “uncooperative jurisdictions” after intensive negotiations, for example. Financial services is the island’s largest economic sector. The two islands are the largest Crown dependencies, with gross domestic product of about £3bn each. Alderney, which neighbours Jersey, tried to get into the bitcoin game by minting physical coins, but its plans were ultimately scuppered for political reasons. But even the big island economies have struggled in recent years, with layoffs from big banks and a less buoyant financial services sector hitting the islands hard. A glance at the cryptocurrency events calendar sums up the increasingly heated competition between the islands. Next month, while Jersey’s treasury and resources minister delivers a keynote address at the Inside Bitcoins conference in London, promoting his jurisdiction to the assembled cryptorati, the Isle of Man will be busy welcoming guests to its own confab, the Crypto Valley Summit. When a bitcoin firm wants to set up on the Isle of Man to take advantage of government benefits, for example, it is subjected to some scrutiny, Greenhill said. “We look at the company and its business plan, we check that its anti-money laundering procedures are absolutely in place, we do spot checks to make sure everything’s being done properly,” he added. The promise of greater regulation in the freewheeling world of digital currency startups seems to be working. Charlie Woolnough set up his exchange, CoinCorner, on the Isle of Man in July. Woolnough has personal ties to the island – he was born there – but he chose to set up shop there after a decade in investment banking in the City of London. 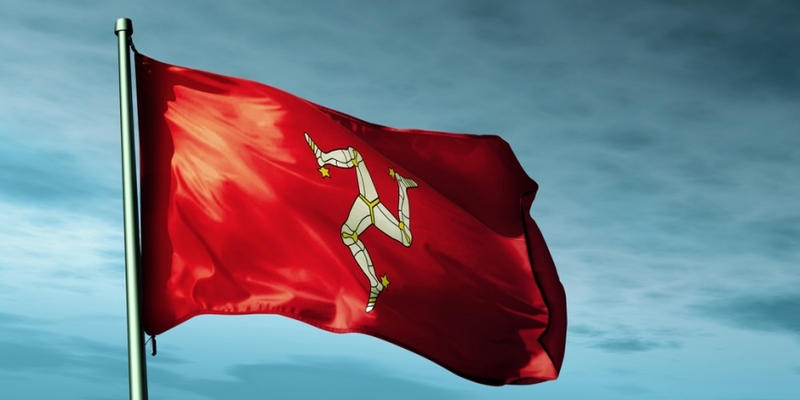 Woolnough, who has also taken on a role promoting the island as chairman of the local digital currency association, also says the Isle of Man has simply got more space than rival islands. It measures about 500 square kilometres, while Jersey can offer about a fifth of the space. “If you’re looking for a physical location rather than just a jurisdiction for tax benefits, then Isle of Man has a lot more space than Jersey and Guernsey, and it’s cheaper to acquire that space,” he said. Over in Jersey, an industry group calling itself bit.coin.je launched in June, in an attempt to turn the territory into “Bitcoin Isle”. Regulation and an established financial services infrastructure were two of the advantages digital currency companies could make use of, officials and bit.coin.je spokespeople told the BBC. Cryptocurrency companies would form part of the island’s “planned diversification” strategy, according to Greenhill’s Jersey counterpart, Andy Jarrett. It’s part of a broader push by the Jersey government to find economic growth in ‘fintech’, or financial technology, companies. Jarrett is director of Digital Jersey, the government entity that was created to promote fintech companies and the technology sector in general. “Fintech is a sector that holds significant opportunities for Jersey. The government has been very clear that it will offer its full support for innovative measures undertaken by the industry and the regulator,” Jarrett said. While neither Greenhill nor Jarrett could quantify the economic opportunity presented by cryptocurrencies in job creation or in GDP terms, both administrators agreed that promoting growth in the sector would help the islands achieve their economic goals. “It’s very clear that the train has left the station. Anyone who thinks [cryptocurrencies] won’t grow hasn’t realised the power behind that train,” Greenhill said.